Dinosaurs Attack! 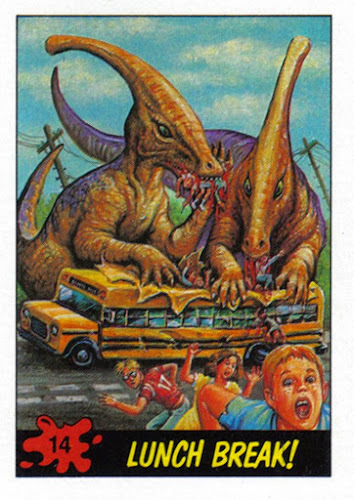 Some of the most AWESOME trading card art during the late 80's came from Chet Darmstaedter's (aka XNO) paintings for the AWESOME "Dinosaurs Attack" Trading Cards (though other artists worked on the cards, this post will cover my FAVORITE Chet Darmstaedter's art)! 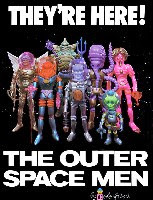 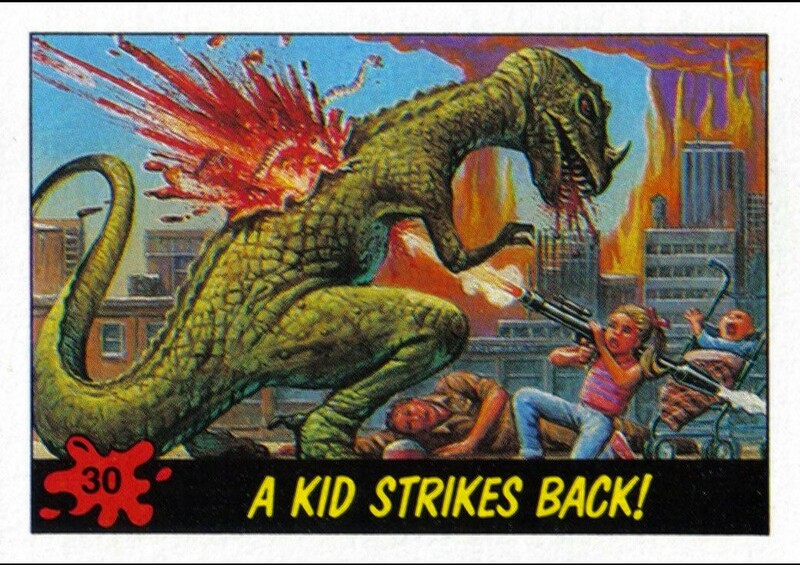 "Dinosaurs Attack" were super GOREY and super AWESOME! I will post my FAVORITE cards in this post and my FAVORITE stickers in PART II! 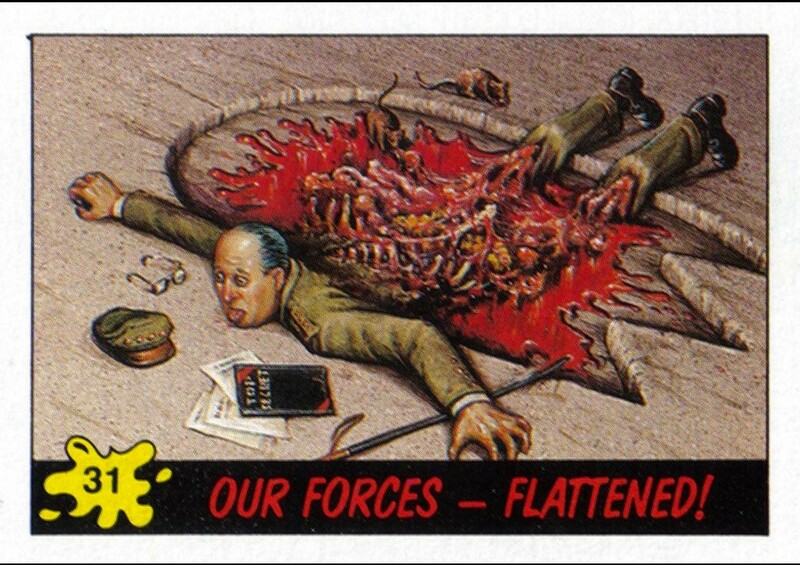 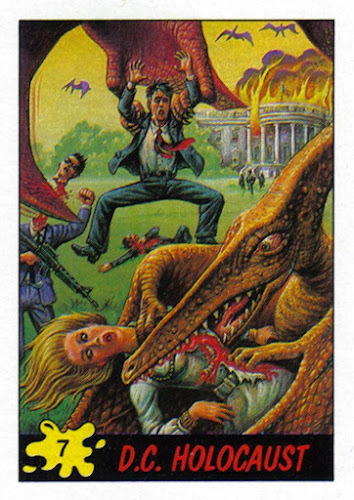 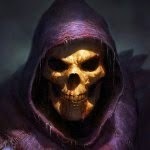 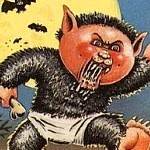 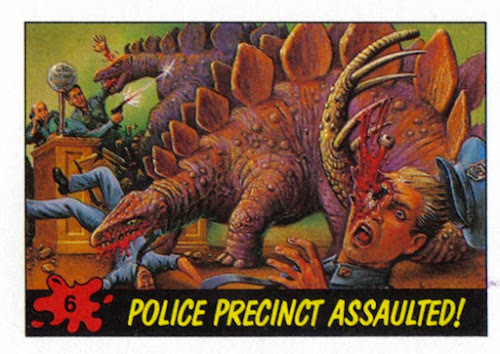 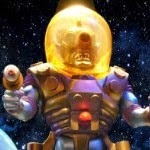 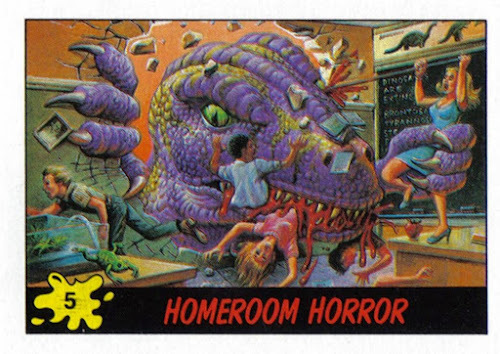 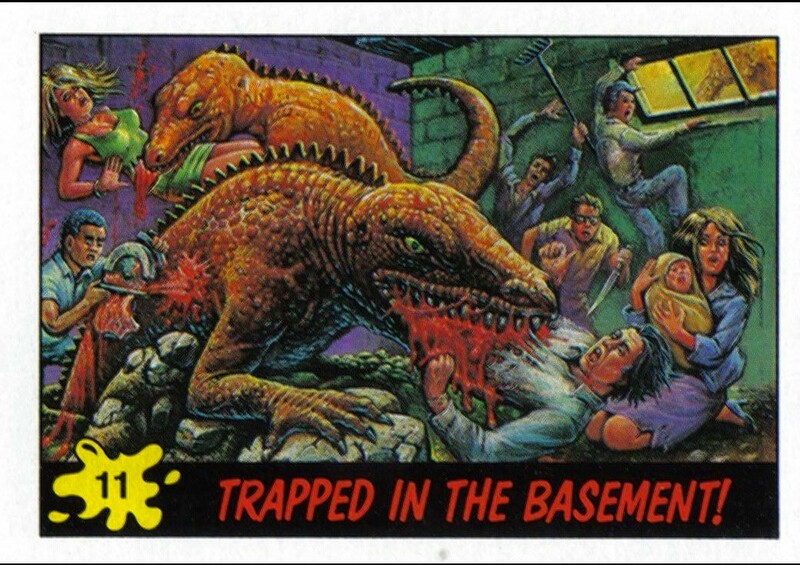 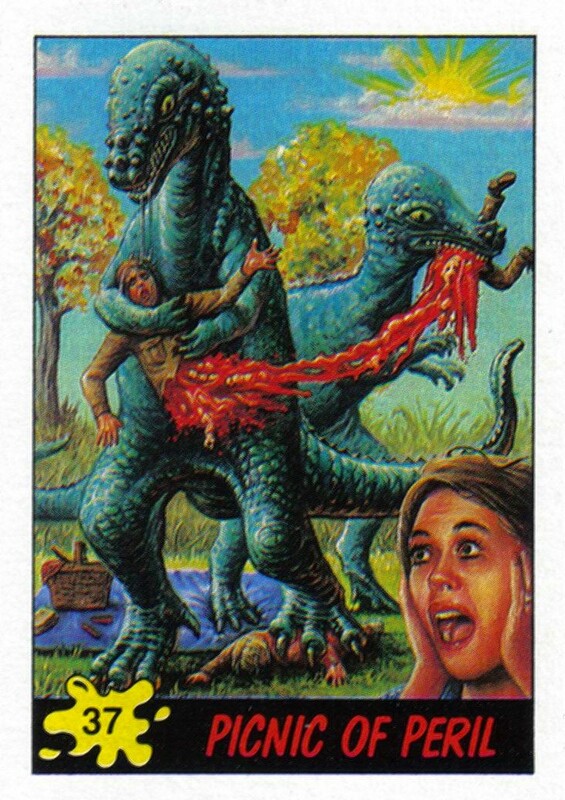 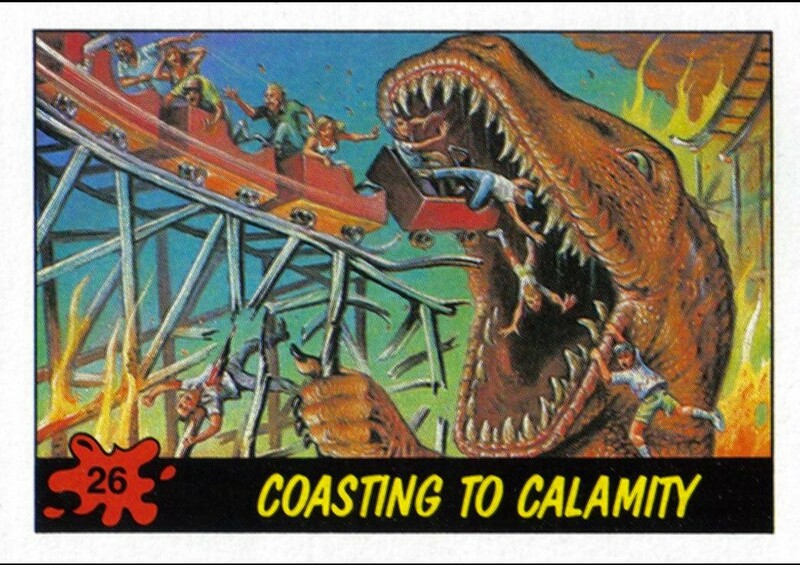 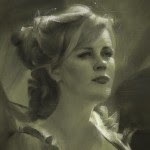 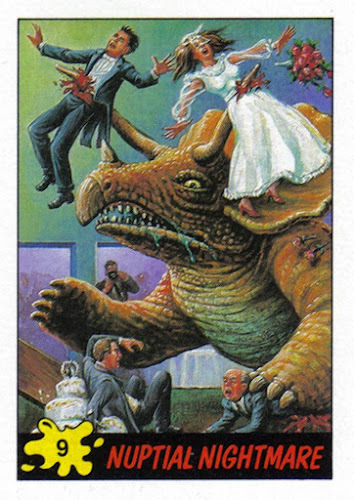 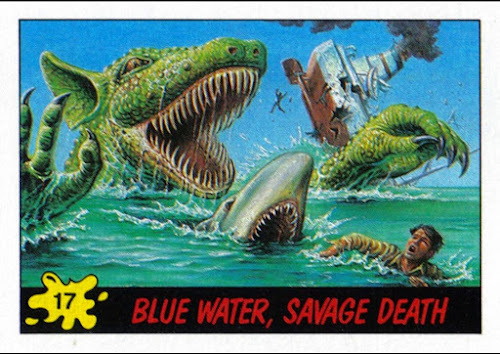 Be sure to check out all the GRUESOMELY AWESOME art from the GREAT "Dinosaurs Attack" trading cards!